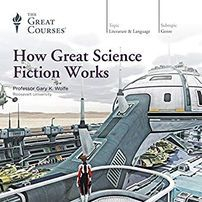 Despite the title, this Great Courses work was really an entertaining and informative history of science fiction starting with its debatable origins (Wolfe convinced me that Mary Shelley’s Frankenstein deserves the designation of first science fiction novel), then walking us through the many of the great early writers (Wells, Verne and Poe) before spending the rest of the lectures discussing icons of the genre (the spaceship, the planet, the robot, etc.) or movements within the field (the Golden Age, Cyberpunk, etc. ), and later influential editors and authors (Campbell, Heinlein, Asimov, Butler, etc.). Overall I consider it to be a great overview of the field and I very much enjoyed listening to it. I do have a couple of—“complaints” seems too strong a word so perhaps we should call them constructive suggestions. I recognize that some works have had tremendous influence, but part of why I listen to a series of lectures like this is to be introduced to as large a variety of great texts as possible. Therefore, I would have preferred that Wolfe minimize the number of times he referred to the same book across lectures. I also wish someone would fix the table of contents in the audible version as many chapter titles are connected to the wrong lectures (i.e. lecture 10 actually links to lecture 21) which makes it hard to review a lecture after you have passed it. I’d like to end on a more positive note. One of the great delights of listening to a series like this is hearing about books and authors I know and have read. So I appreciated greatly the many times that Wolfe would say things like, “Of course there are many more feminist science fiction writers than I have time to explore here. 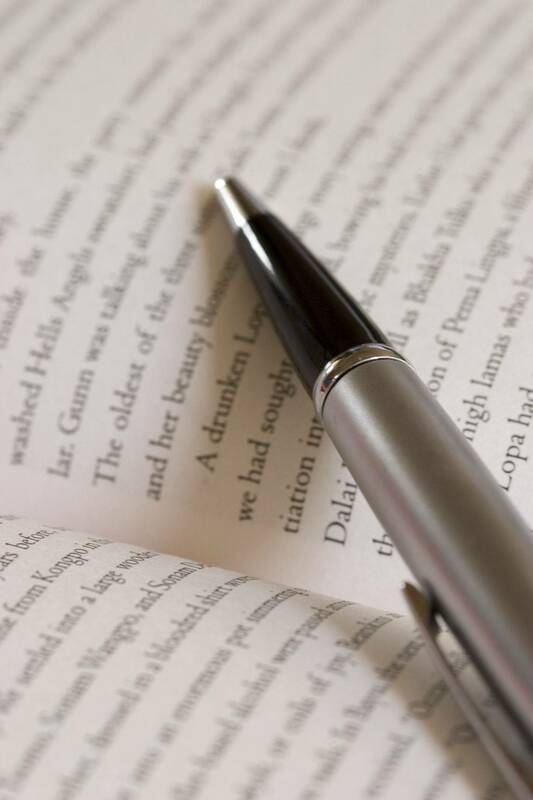 Authors like…” and he would rattle off ten names. I enjoyed seeing where authors whose works I love fit into the larger schema of science fiction. And that, in summation, is really what this lecture series is about—showing how the authors in the field have influenced each other and caused science fiction to grow and diversify into the genre it is today. This a quick history of the complex struggle for Irish independence—a subject I do not know as much about as I would like to. 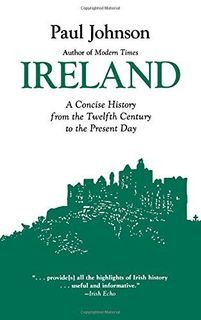 It starts with a swift overview of Ireland and England in the Middle Ages which showed what I considered to be a moment or two of clear English bias by the author. For example, Johnson states that the introduction of English law benefited everyone in Ireland—an assertion many would argue with. The Irish had a well-developed legal system that was complicated but governed their affairs well into the period of English conquest. It was remarkably different than the English justice system, but that does not mean that many were not well-served by it. The English system was administered by the English and biased in favor of English (and later Protestant) subjects. It’s hard to say with a straight face that all the Irish benefited from the transition to the new legal system. Similarly, I felt that Johnson went out of his way to justify the slaughter of Irish garrisons and civilian populations by Cromwell—beyond simply setting a context that this sort of behavior happened elsewhere as well. It worries me when I see bias like this in the areas I know about, because it makes me wonder what I’m missing in the areas I’m ignorant regarding. That being said, this is quick passage through the early modern and modern efforts of many Irish to gain independence. It shows how the forces of nationalism found support among both Catholics and Protestants before being increasingly divided over the issue of union. It also showed how England fumbled many opportunities to improve this situation. The Land Law issues (first stealing almost all the land in Ireland from Catholics and then the efforts to restore the land to Catholics) was among the most interesting to me. Who doesn’t love dinosaurs? I’ve been reading about them off and on for my entire life and so it was with quite a bit of anticipation that I started this audiobook. It did not disappoint! 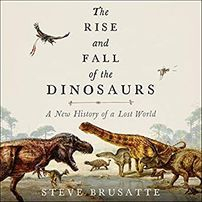 In addition to walking me through the current state of the field of dinosaur studies, Brusatte has packed this monograph full of engaging stories about the men and women—historical and current—who have figured out what life was like for these creatures some 60 million years ago. If you’ve any interest at all in the subject, this book is for you. 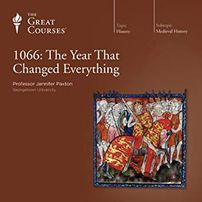 This short entry in the Great Courses series provides a nice tight account of William’s famous conquest of England. The narrative is fairly conservative/traditional in covering the actual conquest. If you know a lot about the Conquest and the political situation in England, Normandy and the Viking territories of the north, then this account will likely be too short for you. I found the greatest value in Paxton’s analysis of the importance and impact of the Conquest for later generations and wish she had spent more time on it. Overall, this is well worth the three hours it takes to listen to it—especially if you have little knowledge of how the Normans came to rule England. 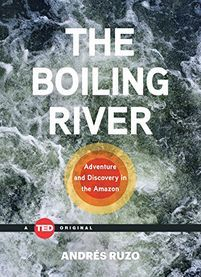 At its heart, this is a story about a scientist’s efforts to discover if a legend his father told him as a young boy about a boiling river in the Amazon could possibly be true. It’s also a tale of the mysteries still waiting to be discovered in our world, the beauty of the Amazon rain forest, and the great peril that that that forest faces. This is a very quick read and well worth your time.